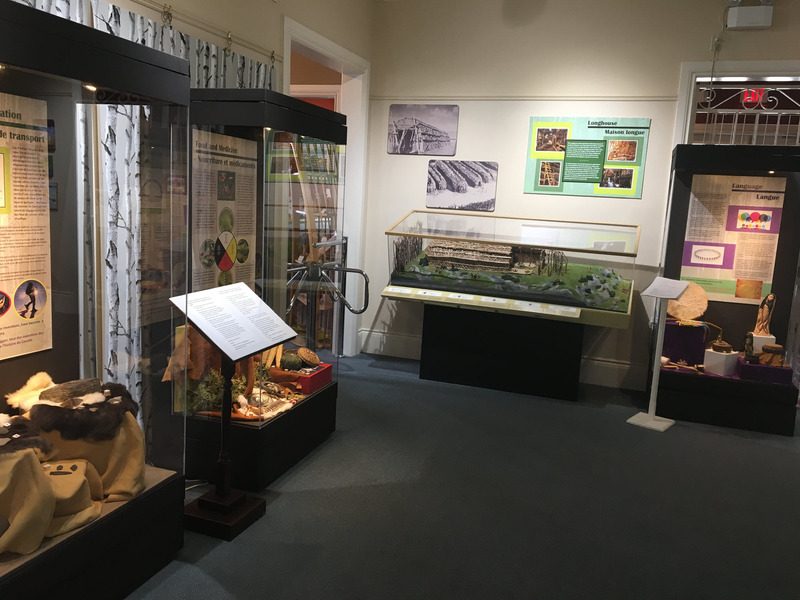 As a next step towards the 150 Acts of Reconciliation challenge that I wrote about previously, I went to visit the Arthur Child Heritage Museum in Gananoque, ON. Visit your local museum, particularly its section on Indigenous people. If it does not have one, ask the staff why not. 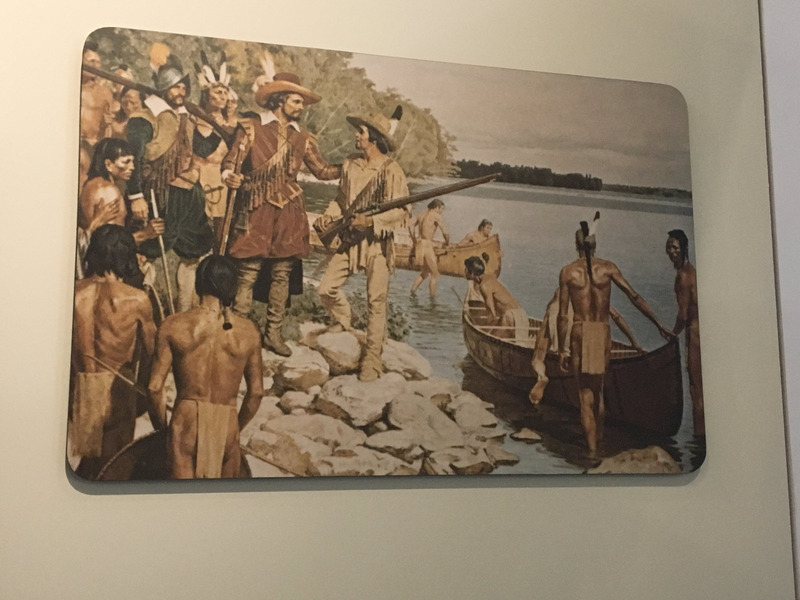 Experience 10,000 years of 1000 Islands history: our permanent, interactive displays invite visitors to explore the 1000 Islands ecosystem, learn about the First Nations people, early settlers, and military leaders. Discover the fascinating and intriguing lives of folk heroes, as well as the rich and famous of the Golden Era. So I went with high expectations, curious see how well it was done. And, speaking as a museum professional and as a writer — someone who understands that the way a story is written tells as much about the writer as it does the subject — this museum didn’t meet the mark. Now I’m not singling out the Arthur Child Heritage Museum. What I’m about to show you is repeated over and over in museums across Canada and the US and some of my examples will be drawn from those. And to be fair, many of Arthur Child’s exhibit clusters looked like they were recently installed or temporary. It appeared that maybe they were in the middle of a renovation. I didn’t think to ask. So, first I’m going to tell you what I found and then I’m going to show you how it should be done correctly. The museum is two floors, with the main floor being upstairs, so I started there. I wandered through, learned about the geology of the 1000 Islands region; pushed light-up buttons on the relief map of the St, Lawrence; looked at taxidermy wildlife; peeked inside a Victorian dollhouse; read all about sailors, settlers, loggers, and explorers; saw a canoe that came apart so it fits in a small airplane; and skimmed my way through the War of 1812 — a topic that seemed to dominate the exhibit with its heroes, battles, uniforms and firearms. And then I was back to the staircase I had come up. Did I miss a section? My husband hadn’t seen the Indigenous section either, so we set off in separate directions to try to find it. So I decided to search the room and photograph every single reference to Indigenous People — words or pictures. Here is the result of that. The two paintings were not captioned, but appeared near each other in a section on explorers. So next we went downstairs into a space that had a particularly temporary feel to it. 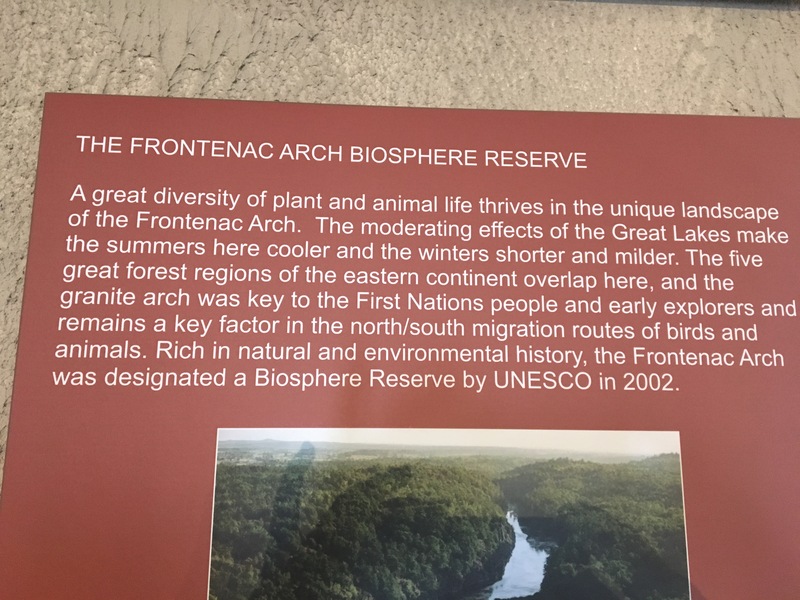 There we found, among other things, information on a locally-famous moose; terrariums with various snakes and turtles; taxidermy (or replica) turtles; and finally, the Indigenous People exhibit. Given this basic presence, I’d say the museum has been about 10% effective in portraying the Indigenous People of the region. We’ll give them that for making an effort. Now let’s talk about the other 90%. We need to go back upstairs to do that. Up here we have a sweeping story of people “discovering” new lands, logging, starting businesses, trading, and not only taking part in a multi-national war, but claiming victory for Britain and Canada. We have heroes, inventors, fathers of industry, intrepid explorers and hard-working settler families. And while all this was happening, the Indigenous People were …. where? Doing what? Oh, they were downstairs (literally and figuratively) making baskets and living in long houses, apparently having nothing to do with the important business of colonizing a nation and defending its borders. As a museum, how do you do you tell that story? Obvious first steps are to involve the Indigenous community and knowledgeable scholars early in the museum development. Not later, after you’ve already written the history from a colonist point of view. And dig deep into the archives with eye towards finding Indigenous stories. Many may not even be known to the community because they’ve never been told publicly. 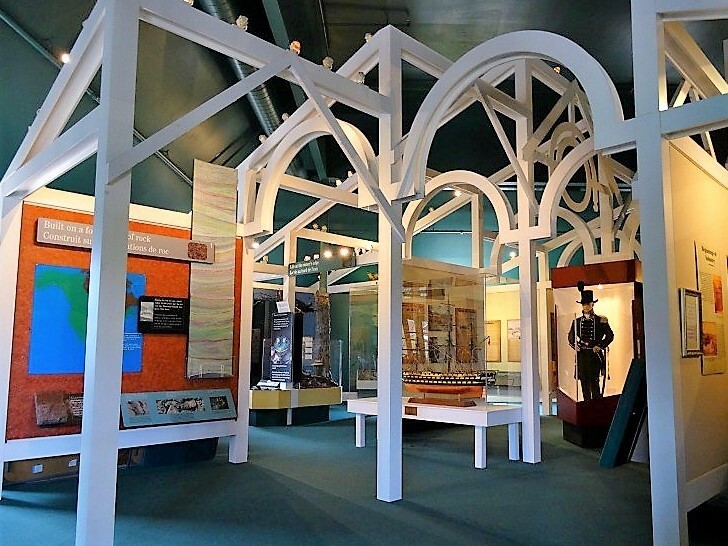 Here in Canada, and particularly in the region where this museum is located, the War of 1812 is a source of pride because the Canadians/British prevailed and the Americans were driven back across, what is now the St. Lawrence Seaway and the Ontario-NY border. But what were the Indigenous People doing while the British and Americans were fighting over land — land that, incidentally, belonged to them? *** The museum doesn’t tell us, but the Canadian government does. It turns out, Indigenous nations and leaders were instrumental in driving back the Americans but paid a huge toll in term of lives lost — a story that should be included in every account of the Battle of 1812. But that’s content. 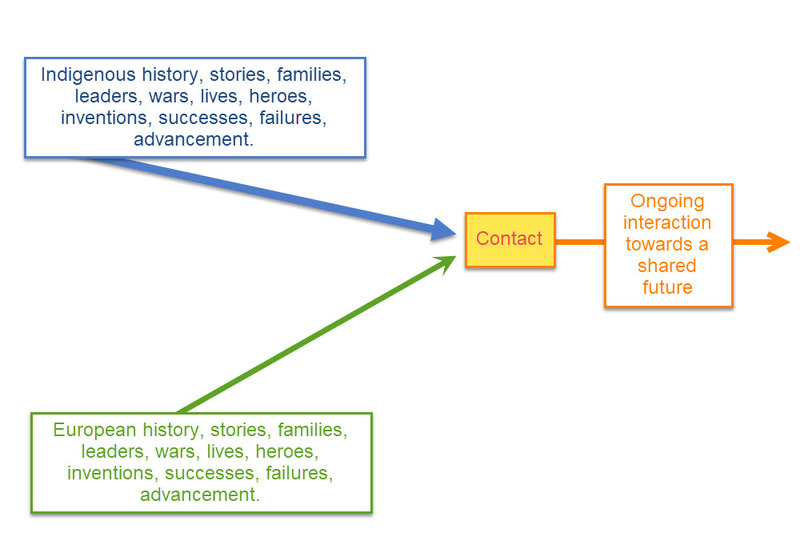 As a writer, I want to focus on the message — how the story is told. For this we need to look at point of view or voice. The easiest way to do that is through examples. Take a look at this accounting of history. It’s what we’re traditionally offered in museums and text books. Yes, Indigenous Peoples are represented at the point of contact. But only in terms related to the European arrival. They have no history or lives outside of their dealings with colonists. Aside from being identified as Micmac, the “Natives” are simply a group of undifferentiated people. The Indigenous leader is not named and the exchange of “small items” is not described. “Baie de Chaleur” and “New World” are obviously Eurocentric terms and finally, the “first trading action” implies that being recorded by Europeans is what makes it an historic first — from Cartier’s pen to the annals of history. 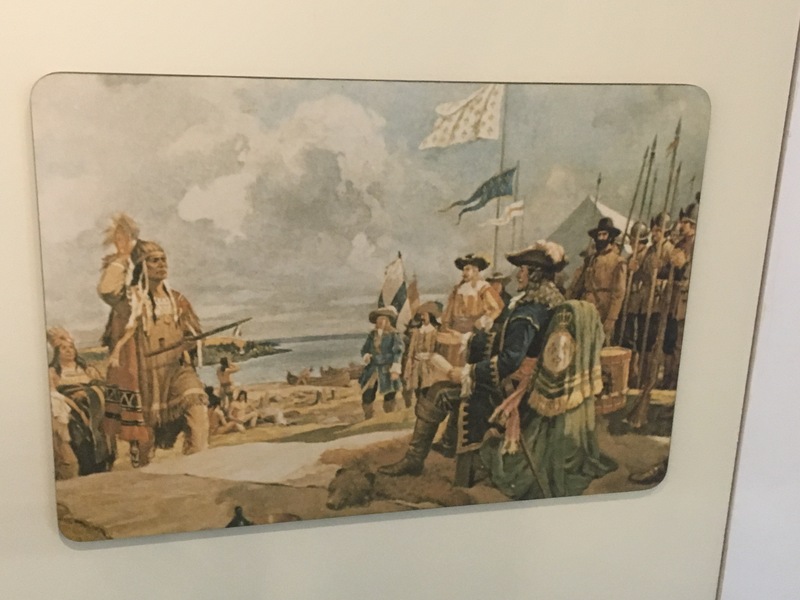 Jacque Cartier was a European vanguard among the Indians of French Quebec in the 16th century. 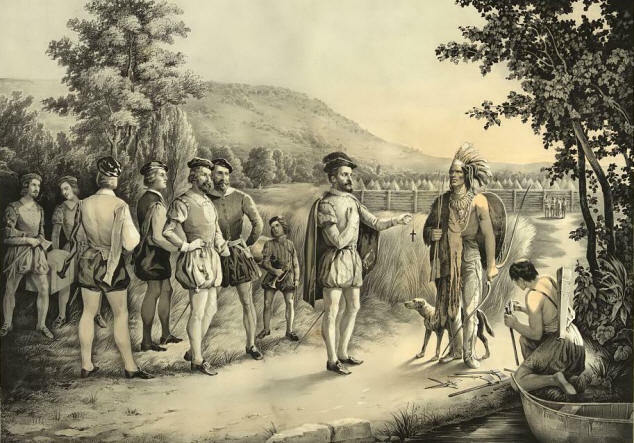 The man with the cloak is Jacques Cartier talking to the Chief of the Iroquois, Donnacona. Point of view also comes into play when historical records are used to describe Indigenous activities. Many museums use excerpts from the records of early explorers and missionaries to lend a first-person voice to an Indigenous exhibit. However, in cultures where oral tradition and stories have been handed down faithfully through generations, it is sometimes not difficult to find first-hand accounts by the Indigenous people themselves. Inuit believe these mountains are home to many spirits and feel their presence keenly when traveling in this region. Do you see anything wrong with that? What about the word “believe”? Why is it there? What does it say about the writer of that sentence? These mountains are home to many spirits and the Inuit feel their presence keenly when traveling in this region. See how point of view matters? Many museums and cultural centres have made huge strides in improving the depiction of Indigenous People in their galleries. But now we need to look more closely at the subtext — who is speaking, who are the main characters, whose story is the core curriculum? 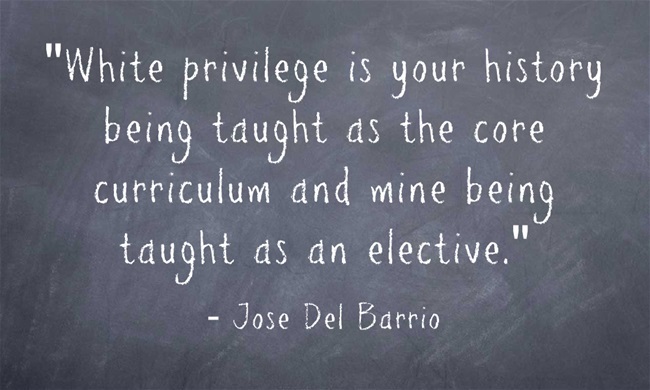 Until we tease that out and rewrite it, Indigenous people will not have equal voice in our cultural institutions. * I found older photos of the Arthur Child Museum online and the traditional long house was located upstairs. This confirms my thinking that the museum is undergoing a renovation. ** For the record: In May 1536, Cartier kidnapped Chief Donnacona and nine other Iroquois and took them to France. Cartier promised to bring Donnacona back in 12 months but Donnacona died in France around 1539. Eight of the other nine Iroquois perished there as well. *** Edit 9/23 — Further illustrating my own point about subtle bias, it’s been brought to my attention that the colonial concept of land ownership is not shared by many indigenous cultures. I’m leaving the edits visible as a lesson to all of us.